The Keys dot a vast, watery prairie. The view south at Lower Matecumbe Key. My ongoing fascination with the Florida Keys in general, and the town of Islamorada in particular, began early. My father, a lifelong, diehard angler, began traveling to Islamorada from his central Florida home to fish in the early 1950s, before I was born. When I showed up some years later, his only son, he naturally brought me along. On one of those early trips, I took my first steps as a toddler beneath a coconut tree while a baby sitter looked on. Dad and mom missed the event because they were offshore, trolling for dolphin. The resort where this all went down is still there and looks exactly the same as when I was a kid. Back in the late 1950s and early ’60s, the resort owner used to chain a monkey to that tree, and I would play with the monkey while mom and dad fished. (It wouldn’t fly today for any number of reasons.) My wife, Poppy, swears that says a lot about how my personality developed, and she may be right. Those were different times, and the Keys were a different kind of place. As I grew up, the Keys seemed like a freewheeling, exotic land where people were freer than those of us forced by circumstance to live elsewhere. Mainly that was because those lucky enough to live here resided in proximity to some of the best fishing in the world, and in my young mind, nothing could be better. Truth is I haven’t progressed much from that mindset. I’ve always found this part of the world fascinating, and I’ve always wanted to live here. 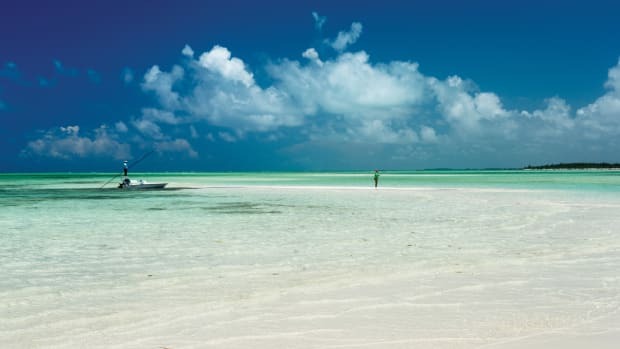 But jobs and family considerations (aka “life”) made that difficult, so my wife and I did what my folks had done: We headed to Islamorada on weekends and for vacations, soon dragging our own kids to the same resort where my monkey friend and I had hung out 30 years earlier. Poppy and I even spent our honeymoon there, sans monkey that time. In 1997, a window of opportunity arose when my father passed away. My mother had already passed, and both of my in-laws were gone, as well. We no longer had anyone to look out for, and our kids were still young enough to make a move. Our home in Florida’s Palm Beach County went on the market, and we were bound for Islamorada, making the move in the summer of ’98. We worried about the usual family concerns, such as schools and whether our kids would assimilate easily into the Keys culture. But Poppy had grown up part time in Marathon; her father, the late Capt. Frank Bowler, had run a charter boat out of the middle Keys, beginning in the 1950s, so she knew a good deal about Keys life. As it turns out, we needn’t have worried. Our kids became part of the community from day one, and they’ve stayed close to kids they befriended. 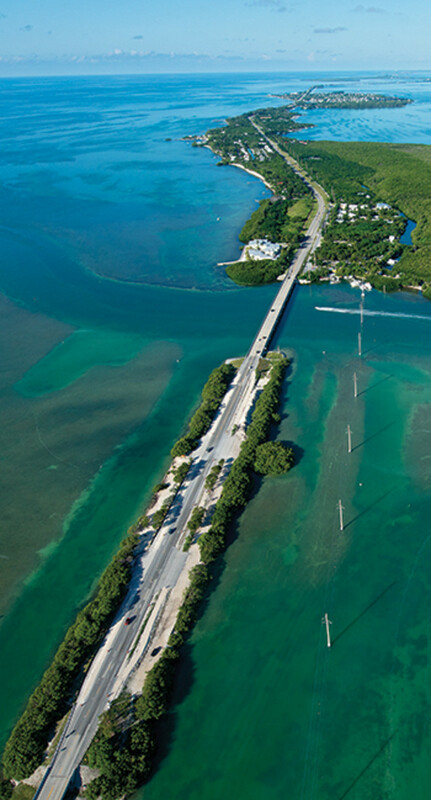 Islamorada is an exceptionally tight-knit community. People often ask how we can live “on the rock.” We’ve found it easy. If you’re a passionate angler, there’s no better place. I often think back to all of the incredible catches I’ve been fortunate enough to make in the Keys, and I mean throughout the Keys, not just Islamorada. The first one might have been the fish that ruined me for good. 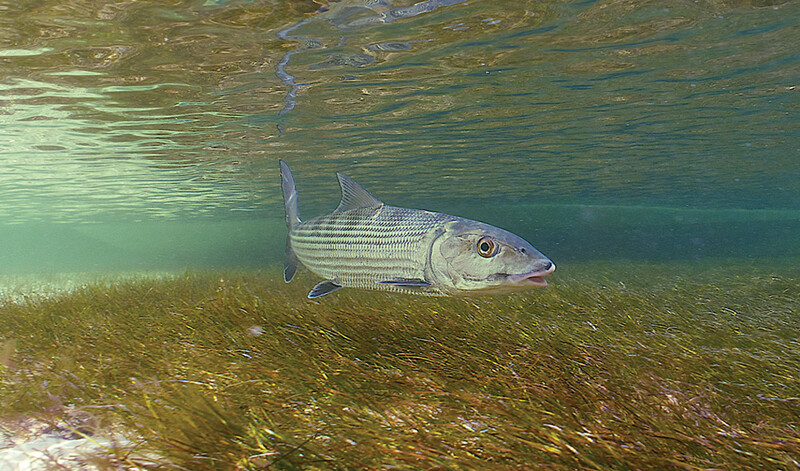 Some of the largest bonefish in the world are found on the flats around Islamorada. I caught my first tarpon in Islamorada when I was probably 7 or 8 years old. It wasn’t a big fish, maybe 20 pounds, but up until that point I’d thought of tarpon as a mythical fish that only superhuman fishermen could best. 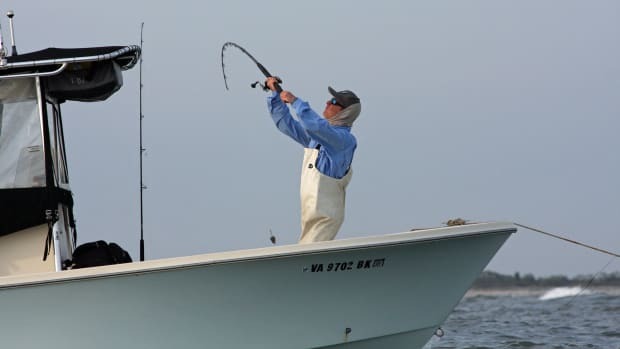 I used to hang around Bud N’ Mary’s Marina in Islamorada when I was young, and back then guides would sometimes bring big tarpon in and hang them on the nails for everyone to see. 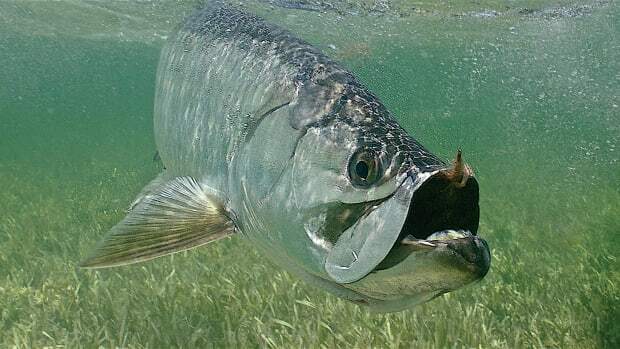 I thought tarpon were as cool as it gets, and when I finally caught one I was ecstatic. I had never heard an adult swear, especially one like her. I felt like I’d been let in on some grand secret, like I’d gotten a peak behind the wizard’s curtain. She was terribly embarrassed, but the other adults paid her exclamation no mind, and she successfully released the fish. Dad teased her about it relentlessly for decades thereafter. The author (in red shorts) at Breezy Palms Resort. 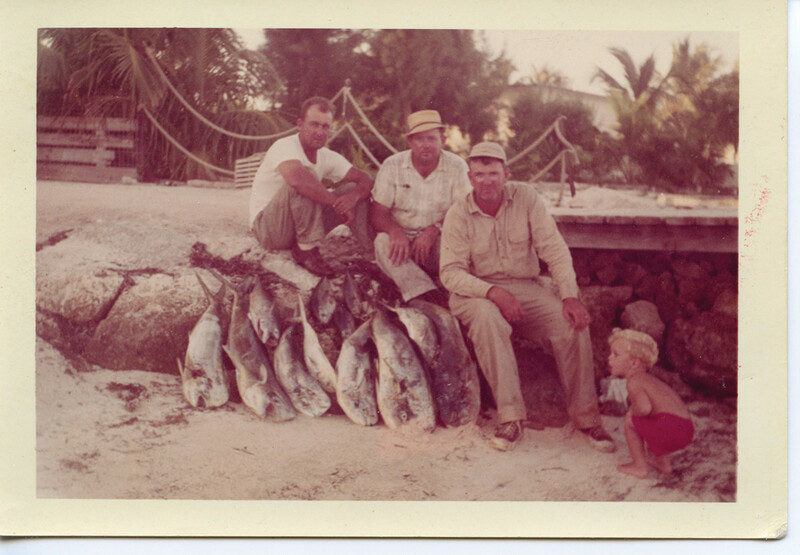 His father, Dr. Harry Brownlee, (third from left) and friends with a nice pile of dolphin. Countless days spent fishing in the Keys have provided a long string of first catches that remain burned into my memory. Dad caught the first sailfish I ever saw just offshore of Alligator Reef Light, which sits on the edge of the reef directly offshore of Bud N’ Mary’s. A medium-sized houndfish had appeared on the surface, with a huge sailfish in pursuit. Frantically trying to escape becoming a meal, the houndfish leapt straight into my father’s boat. Dad grabbed the thrashing houndfish, stuck a hook through its back and chucked it back overboard. It started for the horizon but only made it a few yards before the sailfish appeared from beneath the boat and engulfed it. Dad set the hook, and the fight was on. After a brief battle, he boated the fish to the crew’s cheers. 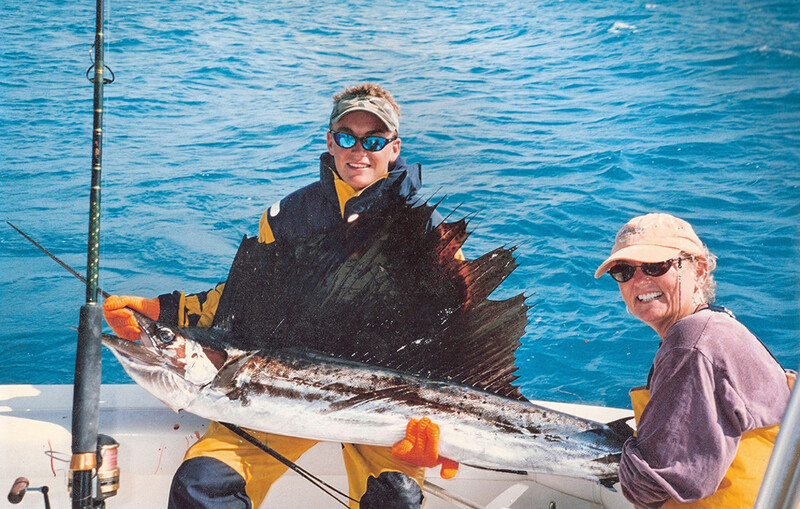 He had the fish mounted, and that sailfish mount adorned the wall of my parents’ Florida room for more than 30 years. We’ve had lots of awesome firsts in the Keys, but not all of them have come from Islamorada. 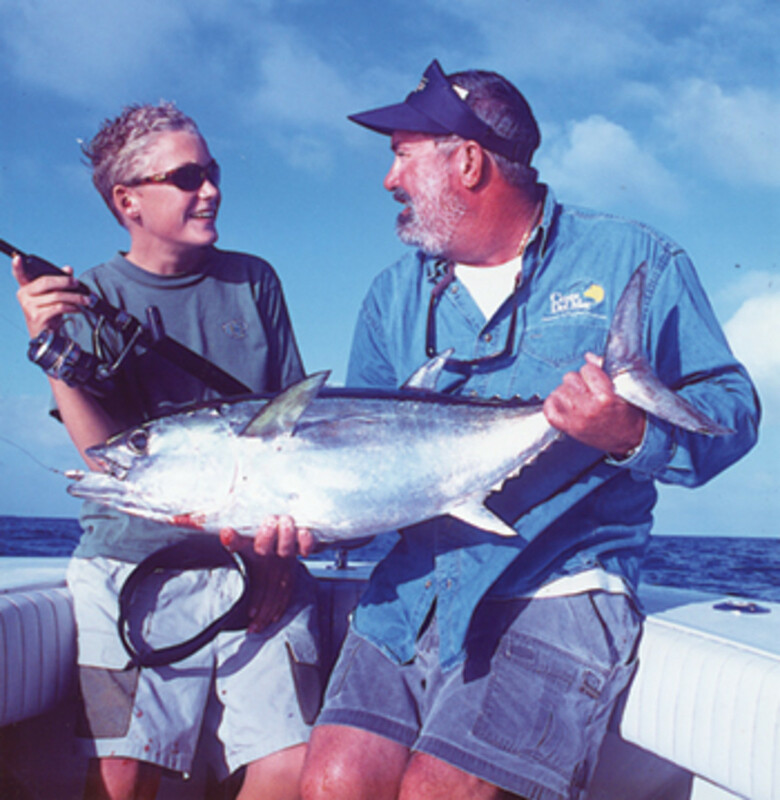 In the early 1970s, dad and his best friend, Charlie Overstreet, started fishing Key West regularly with an up-and-coming guide named Bob Montgomery. 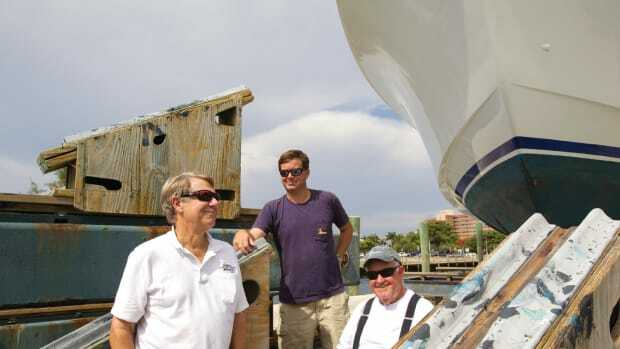 Those who know Key West fishing history will know of Montgomery because he was one of the early pioneers of light-tackle fishing from fast center consoles. Montgomery was a Miami engineer and used his expertise to locate the numerous wrecks and reefs surrounding Key West in the days before Loran. Captains back then mounted a large Danforth compass in a block of wood on the console and then ran precise courses at a known speed while timing their progress with a stopwatch. 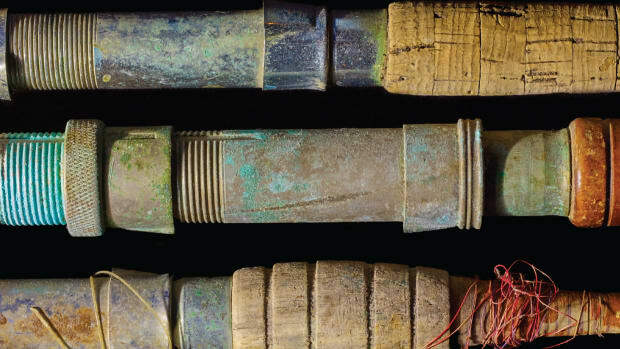 This highly refined system of dead reckoning often (but not always) produced amazingly accurate results, and when you found one of the wrecks, the action was usually spectacular. Those early storied days of light-tackle fishing in Key West attracted dozens of other guides, many of whom would go on to fame of their own. Capt. Robert “RT” Trosset holds a 21-pound blackfin tuna caught by Ben Brownlee, which earned the young angler a prestigious tournament honor. One of those is my good friend Robert “RT” Trosset, a native of Cocoa Beach, Florida, who made his way to Key West in 1975 and is still there. I began fishing with RT in the mid ’90s, and he has guided me to countless amazing days on the water and many outstanding catches. 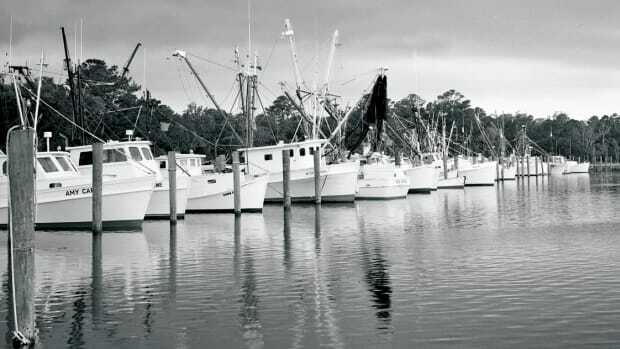 RT and others have built upon the legacy of those light-tackle pioneers, developing tactics and innovations that have benefited thousands of anglers. 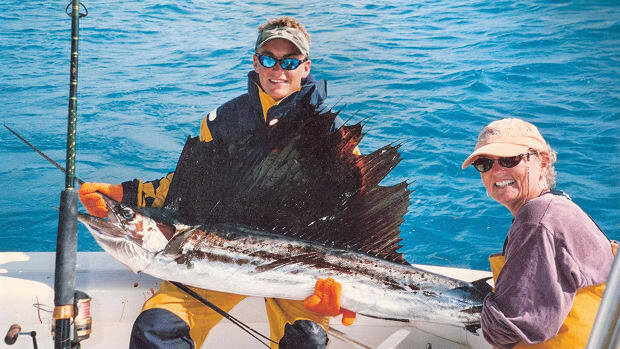 The geography surrounding Key West provides anglers with a dazzling variety of opportunities. My favorite days with Trosset are those when I show up at the dock early with a specific game plan, only to have him radically alter it after observing the morning tide and wind. On many occasions we’ve made a major shift in strategy at the last minute and gone on to have spectacular days. That happens more often in Key West than anywhere else because of the diversity of species. Proximity to both the Gulf of Mexico and the Atlantic — to deep, blue trolling water, to the aforementioned wrecks and reefs, to water both deep and shallow — makes this possible. And those like RT, who have learned to exploit the opportunities, put their clients on a variety of great fish. Such options and the ability to target them have enabled Trosset to guide clients to an incredible 225 International Game Fish Association world records. He has also guided anglers to the winner’s circle in highly competitive contests. One of those anglers is my son, Ben, who won the coveted Junior Master Angler award in the Metropolitan South Florida Fishing Tournament in 2001, before the demise of that fascinating annual contest. In the Met, as it was known, you had to qualify for the junior angler award by releasing a certain number of species on a variety of tackle (spin, plug, fly, general, etc. ), and then you had to enter three weight fish. One of the three had to be on casting tackle, and although Ben had entered two high-point fish on general tackle, he had not yet caught a big fish on casting gear. Late one afternoon on the way in from a day with RT, we ran across a huge school of blackfin tuna well inside the reef, feeding on schools of ballyhoo in 15 feet of water. RT quickly handed Ben a rod rigged according to Met spin division rules (10-pound test max, artificial lure only), and Ben cast a plug into the melee. He hooked and landed a 21-pound blackfin on spin, and that fish went on to win him the Junior Master Angler award. Part of the beauty of Keys life lies in this variety, but just as important is sharing all this with friends. I’ve been able to lead many friends to great first catches of their own on lots of species, and that’s as much or more fun than catching a first yourself. I’ve helped dozens of friends catch their first tarpon or sailfish, dozens more their first permit, and I’ve even guided a few to their first bonefish, even though I’m far from a bonefish expert. Others have helped guide me to other firsts, such as tarpon on a fly rod, which might be the most exciting way of all to fish. My first tarpon-on-fly adventure occurred in the late 1980s off north Key Largo with my old friend Glenn Law, then a Miami-based editor for Florida Sportsman magazine. Law drove me to an oceanside point near Elliott Key, a spot known as Curtis Point because the late, great guide Bill Curtis used to fish it all the time. I remember Law telling me that if Curtis showed up, we’d have to leave, but on that day he never did. We staked out on the point, and one school of tarpon after another began to flow by us almost immediately. That was a transformational moment. I had done a lot of live-bait fishing for tarpon but had never sight-fished for them. We didn’t catch one that day, but I was hooked. I’ve loved throwing flies at passing tarpon ever since. 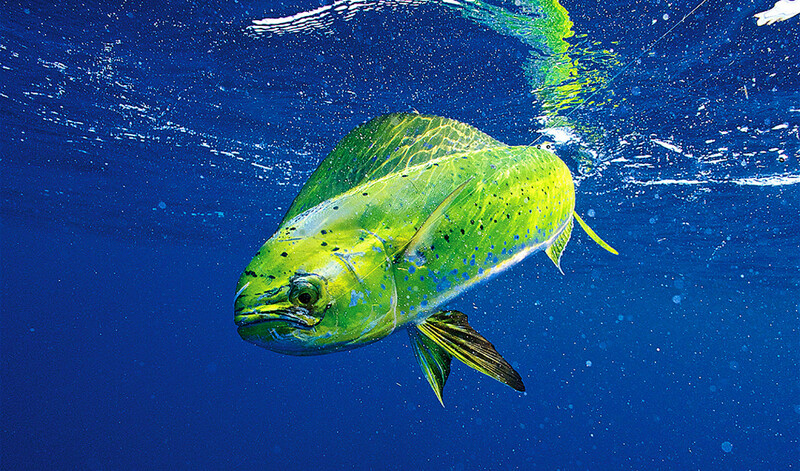 From skinny water to offshore grounds, the Keys are home to a host of species, including mahi. For more information on the Keys, visit fla-keys.com. The Keys and Islamorada have changed a great deal since I discovered them so long ago. What place hasn’t? Some old-timers have become disillusioned and moved away. Others stay and complain about the waves of tourists that seem to grow with each year, clogging roads and restaurants. But I remember when I was one of those tourists myself, a little more than 18 years ago, so I try to keep an open mind. 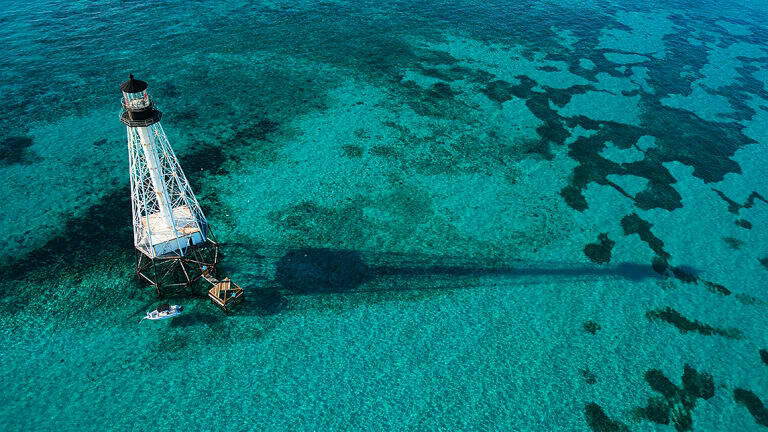 Islamorada is no longer the hard-core fishing town it once was. Now people also flock here to kiteboard, parasail, snorkel or ride the dreaded personal watercraft we fishermen love to hate. Some come just to party, since this area seems to have become “hip.” But if you do a little digging you’ll find plenty of the serious fishing crew still here and doing it every day, with lots more young ones following eagerly in their wake. And when the tourist invasion seems overwhelming, I jump into my bay boat and head north into Everglades National Park; the boundary is about a mile away. Even on the Fourth of July, I can run five miles into the park and hardly see another boat all day. 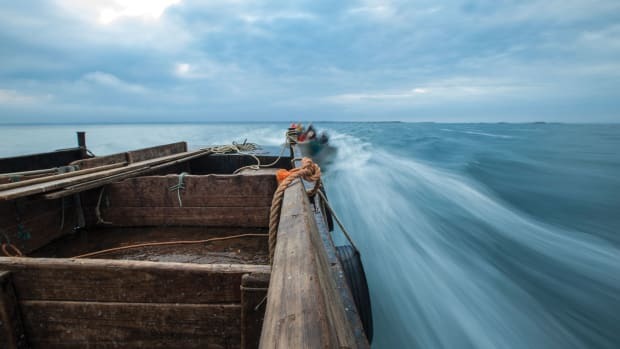 And I know that in a day or two the tourists will go home, and life will get back to normal in the best place a fisherman like me could ever hope to call home. Then we can return to making the vivid memories that make this place so special, one fish at a time. 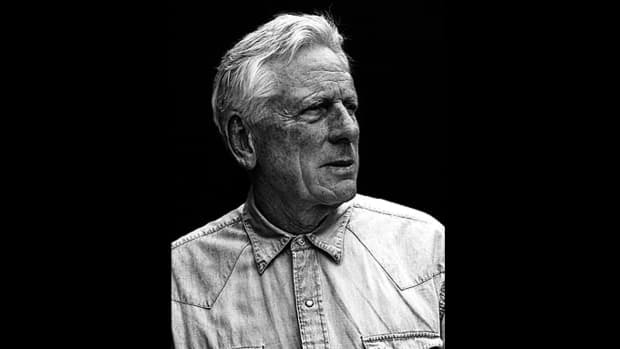 The prolific writer and sportsman published his 17th book this past spring, the latest achievement in a career that started with doing brake jobs in Wyoming and guiding in Key West.